The Magenta Line may have brought the fortified Delhi Cantonment area within the ever-expanding grid of the Metro network, but the peculiar issue remains. 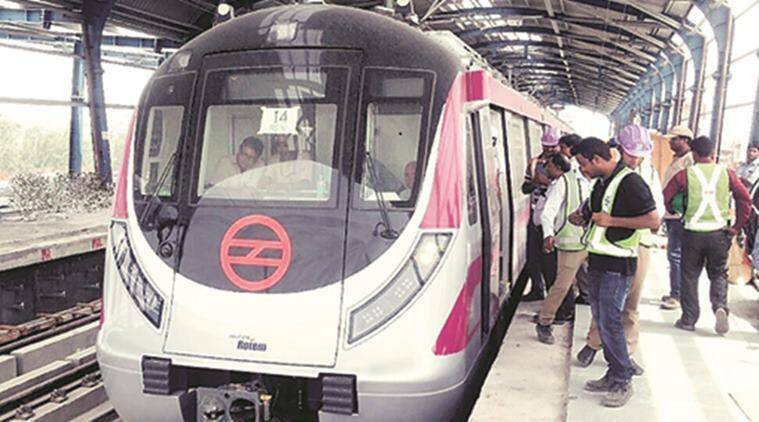 Delhi Metro commuters can walk in and out of any of the 202 stations spread across Delhi-NCR except one — the Shankar Vihar station on the newly opened Magenta Line stretch. The station, which falls under defence land, will be out of bound for civilians, said a Delhi Metro Rail Corporation (DMRC) official. The Magenta Line may have brought the fortified Delhi Cantonment area within the ever-expanding grid of the Metro network, but the peculiar issue remains. “The land for the Shankar Vihar Metro station was provided by the Ministry of Defence. As the station falls within a defence/cantonment area, only those having requisite permission or identification documents necessary for entering defence/cantonment areas will be allowed to get down there,” said the DMRC official. The elevated station falls between Terminal 1 and Vasant Vihar stations. The Defence Ministry recently decided to let civilians access roads in military cantonments across the country, barring a few. Certain roads in four cantonments — Badami Bagh Cantonment in Srinagar, Satwari road at Jammu, Cannanore Cantonment and Delhi Cantonment — are exempted from the order due to security reasons.